The Ruling is important mainly because of the words in the message. In an unprecedented ruling, a Los Angeles court denied a motion by plaintiff & DPFCA member Susan Soares to return her medical marijuana on the grounds that her doctor had not specified a dosage amount or frequency in her recommendation. Soares, who was growing for a local collective, had her medicine seized by hostile police last March, and had petitioned the court for it to be returned after charges against her were dropped. 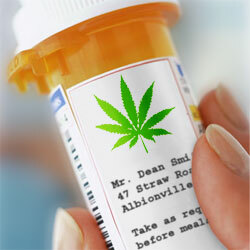 It is generally the practice of most medical cannabis specialists never to prescribe a dosage quantity. The California Medical Association recommends that physicians never do so, because no dosage guidelines for cannabis have ever been established. Effective dosage varies greatly according to the potency and delivery form of the medication. Patients regularly control their own dosage through self-titration. In the court’s decision, Judge Antonio Barreto, Jr. declared that “as a matter of law” any recommendation that Soares’ doctor made that does “not involve frequency and dosage both is insufficient, period, and does not lead to any lawful possession of any amount of marijuana.” The judge mysteriously stated that his ruling was based on the Tripett decision. Soares had been growing for several patients, but the court declined to return even six plants for her own individual use. Soares is seeking legal aid to appeal Barreto’s unprecedented decision. I was denied my motion to return yesterday based on People v. Trippett. The judge said that because my doctor didn’t give me dosages or frequency of use, that my rec was invalid and therefore he couldn’t even give me the SB420 limits back. My attorney then asked him to preserve the evidence until we have time to appeal and he refused. The case that he referred to was pre 215 and later the convictions were vacated when 215 passed! The DA and the cop started cheering. Now the cops are going to wrongly believe that there has to be dosages on people’s recs! What can I do? In addition to the sales of Lakers paraphernalia and water, some surprising entrepreneurs took to the parade route to sell their wares. The assortment included brands of marijuana such as OG Kush and Grand Daddy Perp. The truck’s owner, Bilal Muhammad, said he was recently forced to shut down his store in West Hollywood and had taken his business on the road. Customers approaching his truck were asked if they had a prescription card allowing them to purchase marijuana and then were handed a free lollipop. “It’s been working out very well,” he said of business before driving away as police became visible in the distance. So far, Muhammad was able to work without interruption from police. ​The California Assembly on Friday rejected Assemblyman Tom Ammiano’s bill, AB 1017, to reduce marijuana cultivation from a mandatory felony to a “wobbler,” which would have allowed discretion on charging a misdemeanor. The vote was 24 yes to 36 no. The bill had been supported by the district attorney of Mendocino County, but was opposed by the state D.A.’s association. “The state Legislature has once again demonstrated its incompetence when it comes to dealing with prison crowding,” said disappointed California NORML Director Dale Gieringer. “With California under court order to reduce its prison population, it is irresponsible to maintain present penalties for nonviolent drug offenses,” Gieringer said. “It makes no sense to keep marijuana growing a felony, when assault, battery, and petty theft are all misdemeanors. “Legislators have once again caved in to the state’s law enforcement establishment, which has a vested professional interest in maximizing drug crime,” Gieringer said. Numerous liberal Democrats failed to vote, with some of them actually opposing AB 1017, among them Sandre Swanson of Oakland, Jerry Hill of San Mateo, and Mike Feuer of Los Angeles. Meanwhile, Chris Norby of Orange County was the only Republican “yes” vote in the entire Assembly. A judge on Thursday ordered the California Highway Patrol to return two pounds of marijuana seized during an arrest in August 2010. Sacramento Superior Court Judge John Spaunor ordered the police to return the personal property of Kevin Smith (not the famous movie director) of Sacramento after the Sacramento County District Attorney’s Office dismissed DUI and marijuana possession charges against him, reports Tom DuHain of KCRA. Charges were dismissed in March after experts agreed that Smith did not have sufficient THC in his bloodstream to cause impairment, according to defense attorney Alex Veylupek. Smith has a rare medical condition that caused him to black out behind the wheel as he was driving on Fair Oaks Boulevard last year, according to Veylupek. Smith also has a doctor’s authorization for up to three pounds of medical marijuana, the attorney said. In court on Thursday morning, the judge asked members of the D.A.’s staff if they had an opinion about returning the marijuana. Veylupek said he objected to them being asked, rightly pointing out that the D.A. no longer had standing in the case, since charges were dropped. The ruling is good news for patients who need to transport their medical marijuana, according to Ryan Landers, a member of the Compassionate Coalition, a medical marijuana advocacy group in Sacramento. “I’m glad the judge followed the law and applied it accordingly and that he took the time to look into the truth,” Landers said. On Thursday the Los Angeles County Sheriff’s Department arrested two men on suspicion of running a marijuana growing operation in the San Gabriel Valley. Deputies from the Department’s “Asian Gang Team” seized some 440 plants and 150 pounds of dried cannabis – along with weapons and hydroponic equipment – from a condo in San Gabriel and a commercial building in Alhambra. The operation was being run by a man named Joseph Hsu, a suspected member of a Chinese gang known as Wah Ching. Of course, without marijuana prohibition, this operation doesn’t exist, and a violent Chinese street gang wouldn’t be reaping the profits. Prohibition causes a restriction in supply, raising prices, making it more profitable for gangs to enter the market. And these gangs will often use any means necessary to protect those profits. Without the massive profits to draw them in, these gangs aren’t going to bother with marijuana growing. True, they will move onto to other drugs and illicit products; that’s why prohibition never works, no matter what it is you ban. Banning something just makes sure that violent criminals can make a lot of money off of it. But at least the Sheriff’s Department gets some publicity for making a slight dent in the cannabis black market; a dent that is already filled by someone else who was drawn in by prohibition profits. The police create their own job security. Los Angeles city officials have widened their campaign against illegal medical marijuana dispensaries, warning an additional 60 stores that they must shut down immediately. Asha Greenberg, the assistant city attorney who oversees the enforcement efforts, said that city employees checked every one of the newly notified locations to be certain the businesses were open. “These were locations that we were unclear about,” she said. She added, however, that the office has not determined whether all those stores are selling marijuana. The city’s letter asks for a response. So far, Greenberg said, the city attorney’s office has received information on two dozen locations. At 11, the dispensaries are closed. At six, owners said they were acting to close them. At another six, the dispensaries are still open. And at one site, the business has denied that it is a medical marijuana dispensary. If the notified dispensaries do not close, the city attorney’s office will work with the police department to gather evidence that can be used in court proceedings to shut them down. Greenberg said she could not estimate how long that process would take. The city has taken aim at any dispensary that did not register to participate in a lottery to choose 100 dispensaries that will be allowed to operate. The city clerk received 228 applications. The office is reviewing them to make sure they meet the qualifications for the drawing, which include having been in business since Sept. 14, 2007, and having at least one of the same operators.